Spain is a country we've both spent a lot of time in; and one we seem to always return to. Whether it's the lure of the bustling tapas bars, the year-round sunshine or something else entirely, we never seem to stay away for very long. During our time exploring various cities and towns in Spain, we've learned a lot about this country, it's traditions and it's food. 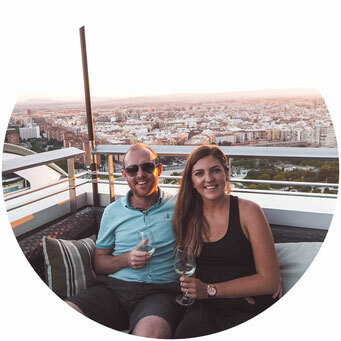 We seem to have fallen rather easily into the Spanish way of life; with its late nights, long lunches and occasional siestas, it's a lifestyle we could definitely get used to. 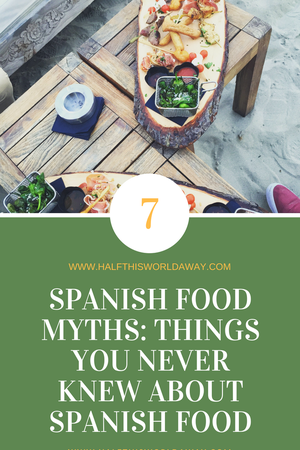 After spending the summer in Spain, and eating our way from place to place, we've realised how much of things we perceive to be undeniably Spanish, aren't really Spanish at all. In fact, now we know how the Spaniards do it, it's easy to spot a tourist in Spain! 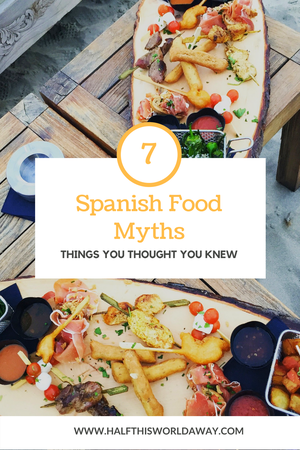 These a 7 Spanish food myths and some of them may surprise you! You're in Spain, what could be better than a lovely dinner by the beach or in the lovely main plaza with a pan of delicious paella? Surely, this is about as Spanish as it comes? Well, no. Paella should only ever be eaten for lunch and never for dinner. In fact, really good paella restaurants won't serve paella after 5pm. While we're on the subject of paella; did you know that paella isn't actually a seafood dish? 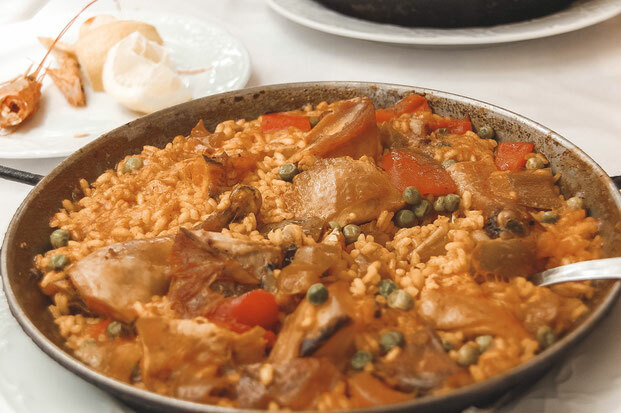 Paella traditionally comes from the Valencian countryside and consists of rabbit, chicken and snails! First paella, now churros? Yep, sorry. Churros aren't a desert or something to treat yourself with during the day. They are actually for breakfast. Traditional churros aren't even overly sweet, the churro themselves are made with a slightly salted dough making them savoury, and they are served with a bitter dark chocolate. Next time you are in Spain, notice in the morning churro eateries will be packed full of Spaniards and it might not even be 10am yet. Everything seems to happen later in Spain; and dinner is no exception. Most Spanish people won't have dinner until after 9pm in the evening. It's not unusual for restaurants not to open until after 8pm, and for customers to still come in looking for a table well past 11pm. So if you go out for dinner at 7pm, don't expect anywhere to be very busy! If the Spanish don't eat until 10pm at night, it's no surprise they don't fancy a 3 course meal. Instead, lunch is the main meal of the day, it usually consists of several courses and can go on for hours. Dinner, however, tends to be a light meal in the evening of grilled fish or something similar. Nothing too heavy! Although Sangria is a typically Spanish drink, Spaniards don't actually tend to drink it. More often than not, it will be tourists that drinks sangria. Typically, Spanish people will either drink beer or wine. 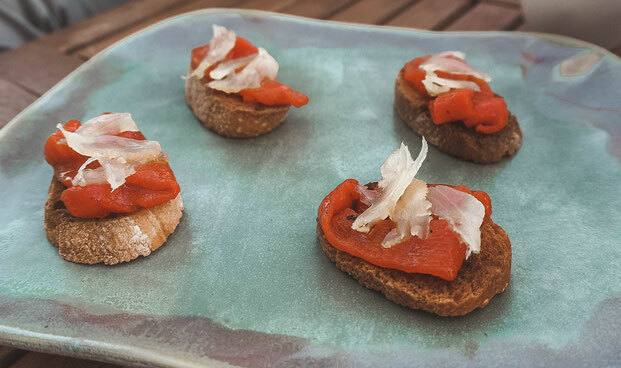 We've heard people say they "don't like tapas" or, when a dish is presented at the table ask "Is this tapas?" 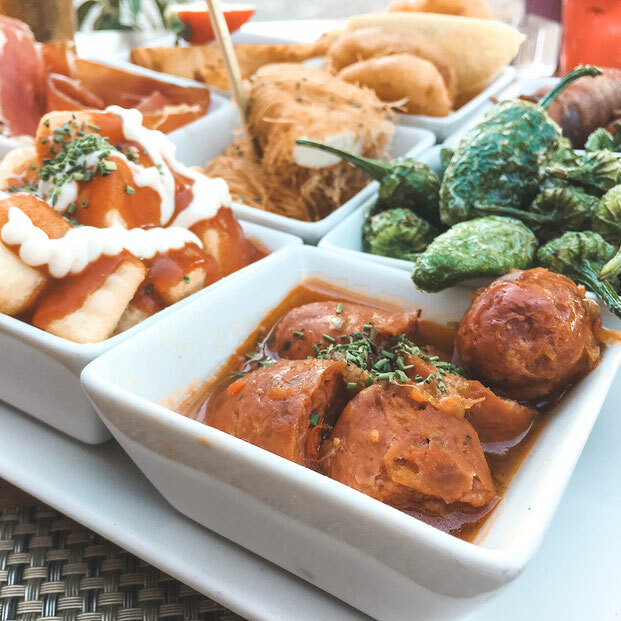 Tapas isn't a particular dish which means you can't really say you don't like it as you would kind of be saying you don't like fish, meat or vegetables. Tapas isn't something to eat, it's a way of eating. 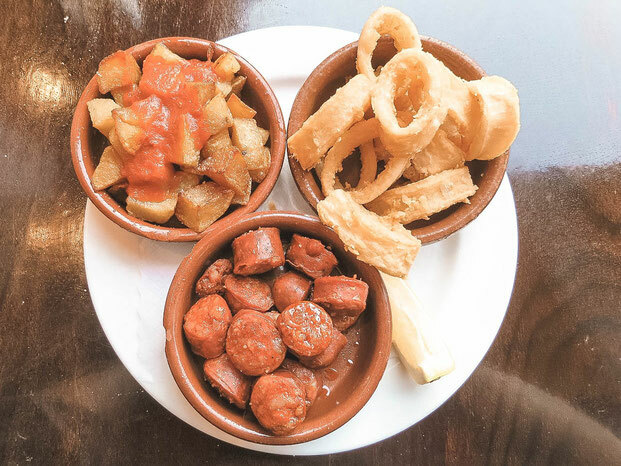 Traditionally, tapas are complimentary small dishes which are served with alcoholic drinks. More common in the south of Spain, it's a way of ensuring people are eating if they are drinking alcohol. How many of these did you know? For us, churros was maybe the biggest surprise and I still can't get used to having them for breakfast!